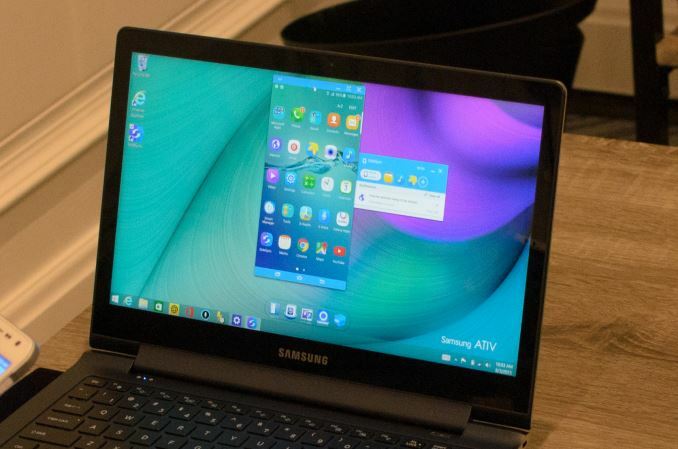 Continuing along the software train of thought, TouchWiz on the edge variant sees new edge features, namely the ability to adjust the position of the edge drawer swipe, the ability to use the edge drawer in applications, and the addition of an app drawer to the edge drawer. I’m not really sure if these features are enough to move the edge display from a mostly cosmetic change to a functional one, but the edge app drawer presents at least the possibility of additional functionality. On both devices, I also noticed that the iconography has changed from the Galaxy S6. The change isn’t really radical here, but it is enough to be noticeable in comparison to previous iterations. 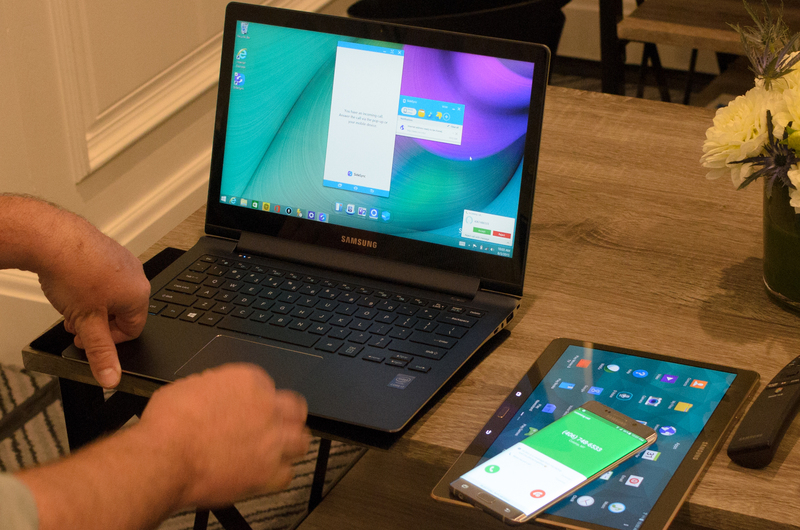 The software remains relatively similar to the Galaxy S6 in UI performance, which probably isn’t a surprise given the shared SoC, display resolution, and UI/frameworks. SideSync has also been updated significantly for the Note 5 and the edge variant, with the ability to automatically reconnect on a shared network instead of manually connecting to the phone with the SideSync client after every disconnect, drag and drop wireless file transfer, and phone call/text messaging over the SideSync client. As far as I can tell, these could be worthwhile features but without testing it’s hard to say if it will make a big difference in user experience. 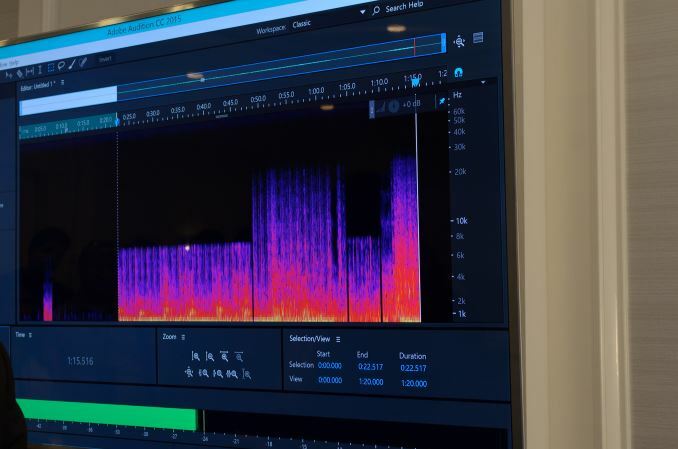 Another interesting software feature that Samsung demonstrated for audio was UHQA, or Ultra High Quality Audio. I normally don't bother to talk about these features because it's pretty easy for them to end up as gimmicks, but this feature is effectively designed to try and reduce the effects of lossy compression when high frequencies have been cut off. As seen in the photo above, when UHQA was off the sample music topped out at around 8-10 KHz, while with UHQA on we see harmonics extending up to 20 KHz. Subjectively, it did seem that this interpolated version was much closer to a lossless music file, but my ears aren't particularly astute in that regard. Both devices will also support live YouTube broadcasting as a camera mode, which seems potentially useful, especially with 1080p60 broadcasting quality but for some reason the units that I saw were limited to 240p, which may be due to the nonfinal state of the software. 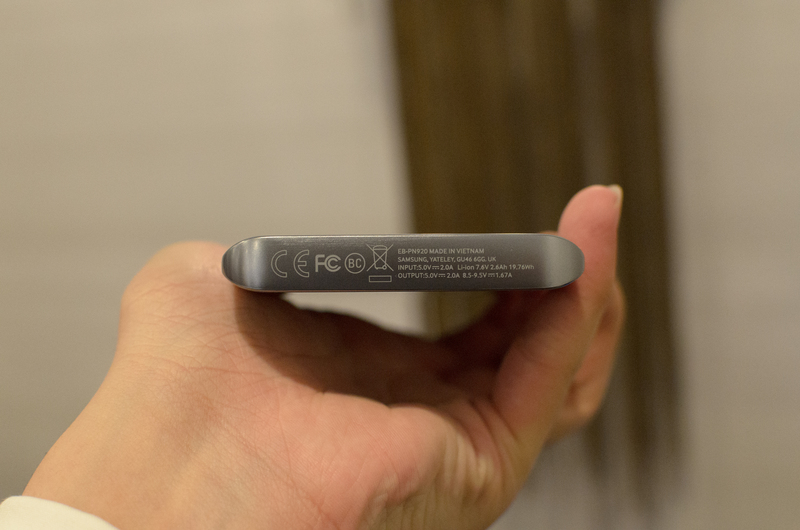 With the Galaxy S6, I mentioned that there were magnetic secure transmission (MST) capabilities which would allow for the phone to allow for contactless payment even on legacy payment terminals that only allow magstripe cards, but I didn’t feel that it was worth mentioning as a real reason to get the phone as Samsung Pay was announced with the Galaxy S6 but without any demonstration or support soon after launch. 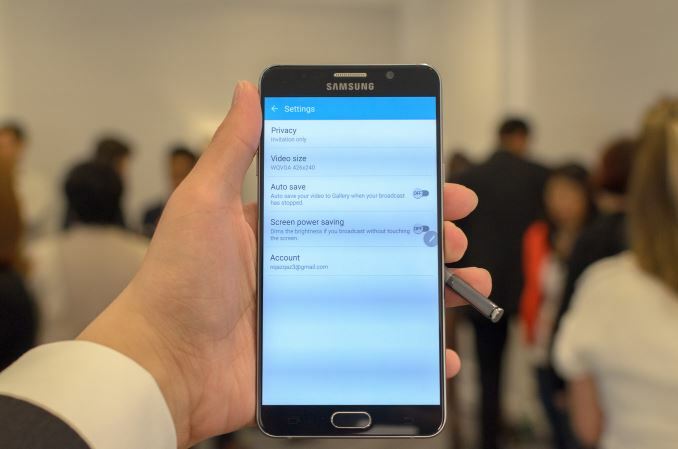 With the Galaxy Note 5 and the edge variant, this changes. 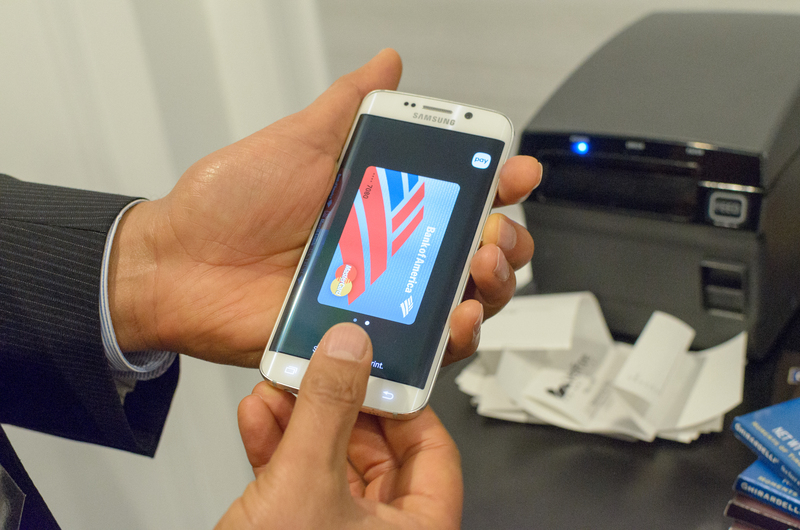 Samsung is hoping to begin user trials of Samsung Pay with NFC and MST contactless payment in the US this month, with a US launch in September. 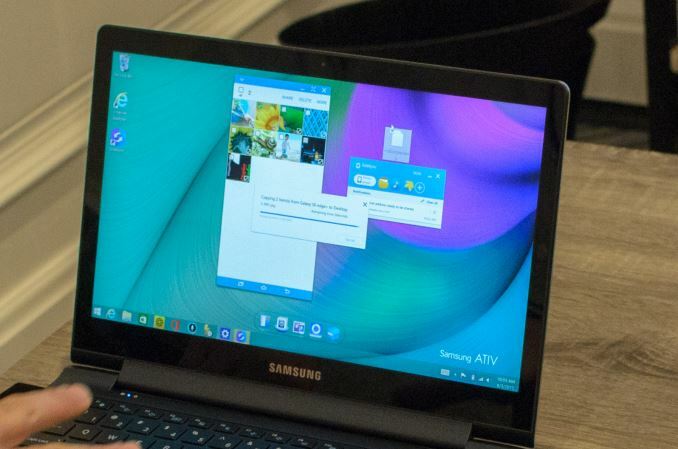 According to Samsung, feedback from user trials in South Korea was overwhelmingly positive, with only a small number of legacy terminals that needed software updates to support MST transactions. From the demo that I saw, Samsung Pay is actually quite promising as it didn’t seem particularly sensitive to orientation as long as the back of the phone was reasonably close to the magstripe reader on the terminal. Activation is relatively simple, and is accomplished by simply swiping on the display when the screen is off and tapping the card you want to use, then authenticating with Pin or fingerprint. This isn’t as fast or simple as some competing solutions, but given the constraints of MST it makes sense. It’s worth noting though that in October magstripe cards will see a liability shift that is likely to drive NFC/EMV adoption much more strongly in the US, although Samsung predicts that the shift will still take a year or two in which MST will still have significant utility. 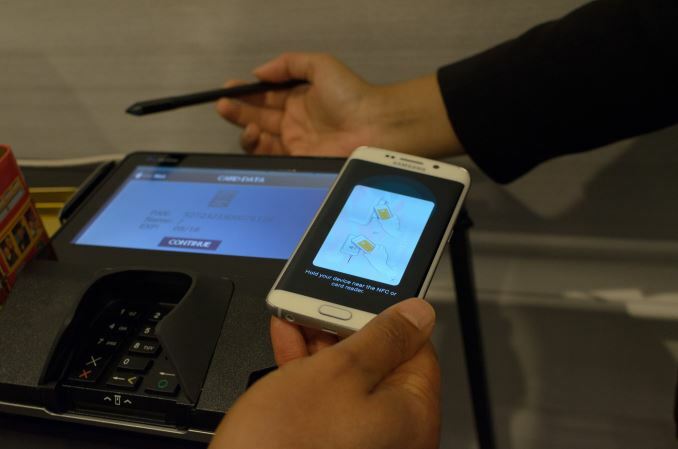 It’s also worth noting that any device with a tripped Knox flag will be unable to use Samsung Pay. A number of accessories were also on display which were at least somewhat interesting. 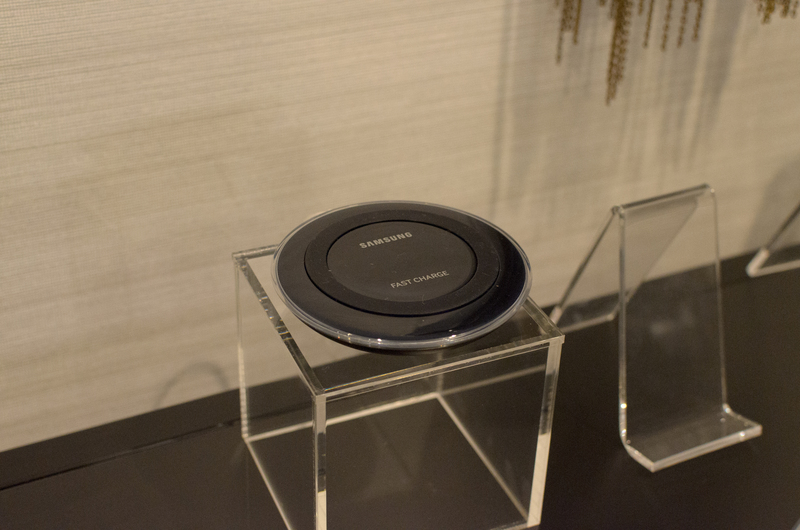 In addition to fast wired charging, Samsung seems to have developed a fast wireless charger, although it isn’t clear what the power output is compared to the previous standard wireless charger. There were also external batteries with fast charging at what appears to be 9V and 1.67A, so this is probably supports QC 2.0. There were various cases on display, but the only one worth really focusing on as far as I can tell is the keyboard case for the edge variant, which effectively makes it possible to turn the phone into a sort of throwback to Palm Treos, as the color and general design of the case really does give it a retro feel. Outside of design, typing with it was a fun experience but I didn’t really feel any faster than I did with an on-screen keyboard. 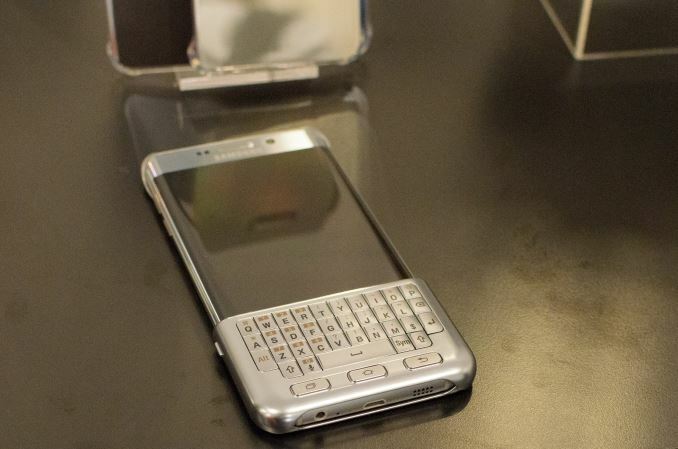 I suspect that this will have a significant niche audience for those that are still clinging to phones like the Droid 4, but mainstream appeal would be relatively limited for this kind of accessory. Wrapping things up, the Galaxy Note 5 and Galaxy S6 edge+ will be available in the US on AT&T, Verizon, Sprint, T-Mobile, and US Cellular. 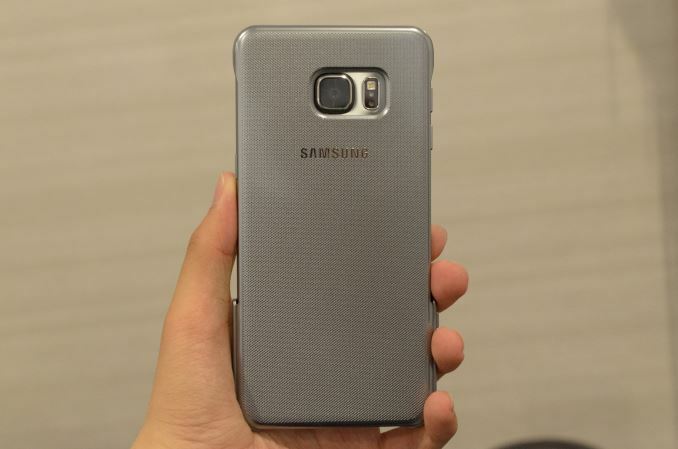 The Note 5 will be available in Black Sapphire and White Pearl, and the Galaxy S6 edge+ will be available in Black Sapphire and Gold Platinum. Consumers will also be able to start trying out the Galaxy Note 5 and S6 edge+ on August 14th in various carrier outlets and electronics retailers, with preorders starting today at 3PM EST, with availability starting on August 21st. On Sprint, the Galaxy Note 5 will start at 249.99 USD on contract, and the Galaxy S6 edge+ will start at 349.99 USD on contract. On T-Mobile, the Note 5 will start at 25 USD/month through September 30, and the Galaxy S6 edge+ will start at 28.5 USD/month. By "everyone" you mean every pathetic crapple fanboy who couldn't think of a substantiated argument and was dying on the inside that crapple had nothing even close to the note? - iPhone 6 Plus started bending at 66 lbs.